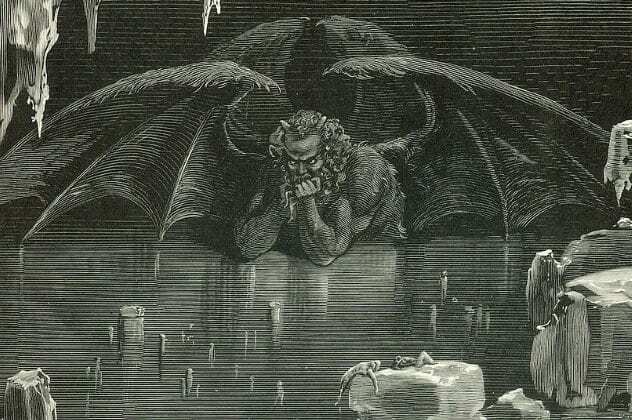 Satan has become one of the most popular figures in modern religion and pop culture, but his appearances in religious texts tend to be brief and somewhat confusing. As a result, there are a number of mysteries about the Devil that we won’t clear up any time soon. 10Is He Supposed To Be The Serpent In Eden? 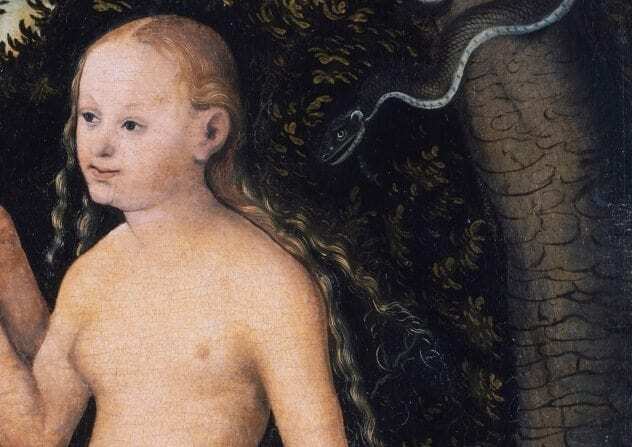 The serpent who tempts Eve into eating the forbidden fruit has often been interpreted as Satan. But the Bible never specifically says this; people just assume so because the serpent apparently plays a similar role to Satan. 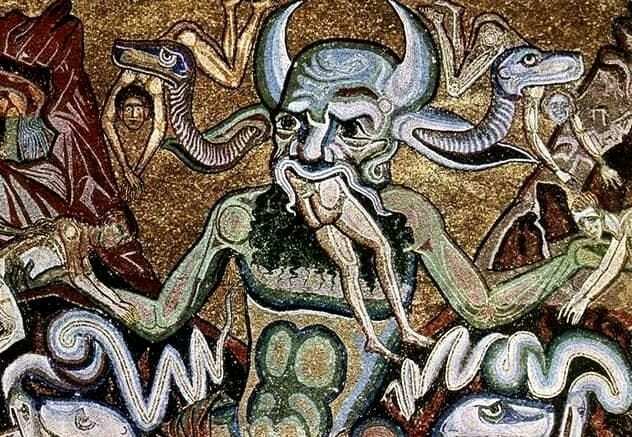 In fact, the original Genesis story seems to rule out the idea, referring to the serpent as “the cleverest of the beasts of the field.” Biblical scholars argue that the idea of Satan hadn’t been developed when Genesis was written. But if the serpent isn’t Satan, what is it? Just a talking snake? If so, it’s the only such intelligent animal in the Bible. In any case, Genesis specifically states that the serpent was punished by being made to crawl on its belly. So if shows like Lucifer want to depict the Devil as the one who tempted Eve, then he should also have to crawl everywhere on his stomach. 9Who Told David To Take A Census? In 2 Samuel 24, God is angry at Israel and incites King David to carry out a census. David subsequently realizes that the census was sinful, and God punishes the land with a plague. But when 1 Chronicles 21 later tells the same story, it’s Satan who encourages David to take the census. These two Bible passages seemingly contradict each other. 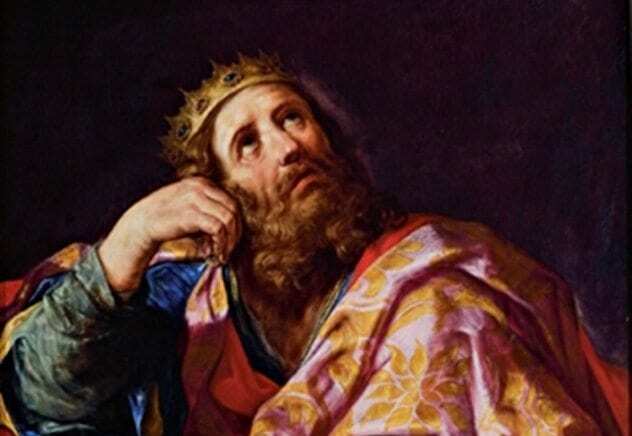 Did God or Satan lure David into the sinful census? One interpretation is that Satan can only act with God’s permission. Therefore, while Satan suggested the census, he did so in accordance with God’s will. Others use the discrepancy as evidence that the Jews were influenced by Zoroastrianism during their exile in Babylon. 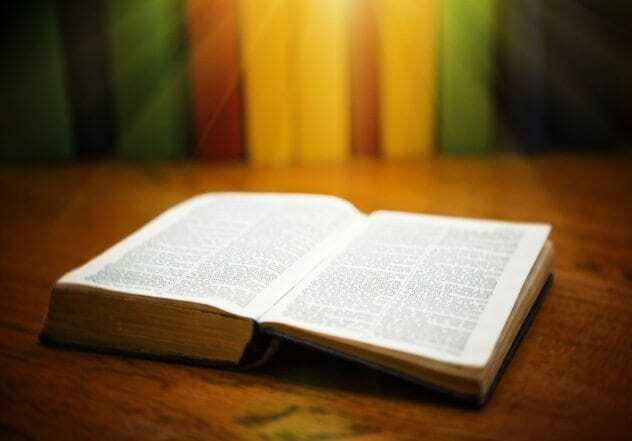 Zoroastrians believe in opposing forces of good and evil, and the authors of Chronicles may have absorbed this belief and reassigned responsibility for the census to Satan. 8Does He Have A Name? “Satan” is a Hebrew word meaning “adversary” or “accuser.” It’s never used as a name in the Old Testament and is often applied to humans. For example, King Rezon of Syria is said to be a satan (“adversary”) of Solomon. There is also an angelic creature known as “the satan,” who acts as a sort of prosecutor. For example, God allows the satan to persecute Job to see if he will remain faithful even after losing everything. The word “devil” (diabolos) also means “accuser” and is just a Greek translation of satan. Correctly, we usually refer to “the Devil,” but at some point, we started treating “Satan” as a given name, with no “the” needed. So does the Devil have a name? It’s not Lucifer (“morning star”), which the Bible only uses once, about a king of Babylon. And Belial and Beelzebub didn’t start as names, either. So if the Devil is supposed to have a name, we have no idea what it is. 7Why Do We Think He Rules Hell? Of course, everyone knows that Satan rules Hell, where he delights in torturing evil souls. Except that’s not the case in any of the Abrahamic religions. It’s certainly nowhere to be found in the Bible, where Satan is only associated with Hell in the sense that he’ll end up there after the final judgement. So where did this idea of Satan ruling Hell come from? Well, it’s a bit of a mystery. The most popular theory is that he was conflated with Greco-Roman underworld gods like Hades and Pluto. Another theory points to Zoroastrianism, in which the evil Angra Mainyu torments the wicked in the afterlife. While it’s not clear how the story came about, it remains extremely popular. 6Does The Same Satan Appear In The Old And New Testament? An angelic being known as “the satan” makes two major appearances in the Old Testament. In his first appearance, he and God are catching up when God mentions that Job is his most faithful follower. Satan counters that Job has a great life and would curse God if things went wrong for him. God disagrees and allows Satan to persecute Job to prove that he will remain faithful. His second appearance is in Zechariah, where the priest Joshua stands before a heavenly tribunal. Satan accuses Joshua, but the angel of the Lord defends him. On both occasions, Satan seems to be serving God as a sort of heavenly prosecutor. However, by the New Testament, Satan is explicitly the “prince of demons” and appears unambiguously evil. So did Satan’s role change between the Old and New Testament? Or, since “satan” is a title, are they even the same entity at all? 5Does He Have Power On Earth? 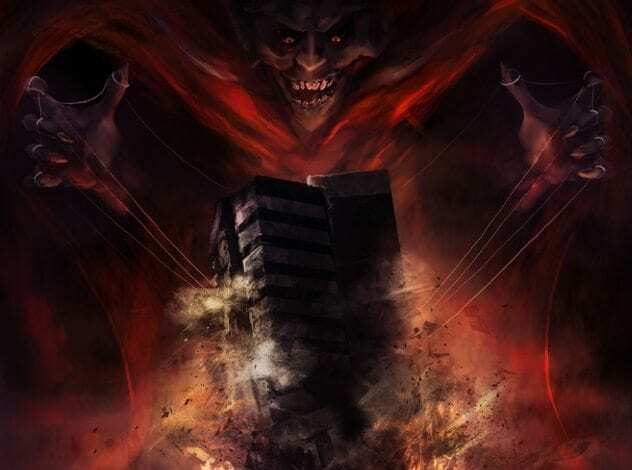 Most pop culture versions of the Devil give him incredible powers, but does the Biblical Satan actually have power on Earth? It’s a little ambiguous. In the Old Testament, he’s capable of instantly ruining Job’s life, but only after God gives him permission. In the New Testament, he mostly tempts Jesus to use his own powers. For example, when Jesus is hungry, Satan tells him to change rocks into bread, but he doesn’t offer to do it himself. 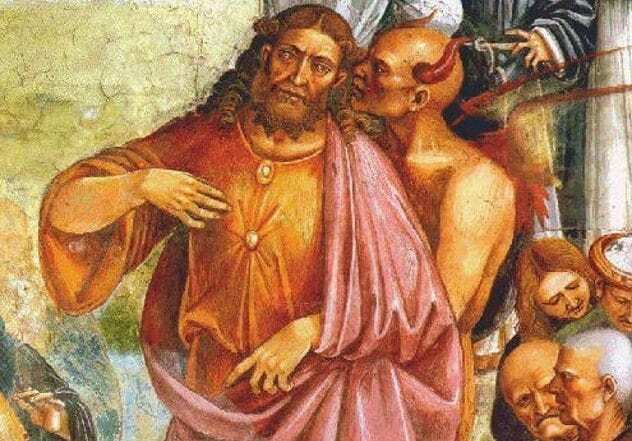 On the other hand, Mark 5 and Luke 8 relate how Jesus drove out demons who had possessed two men, which does imply that demons or Satan can possess people in some way. Satan also offers to give Jesus “the kingdoms of the world,” although it’s not clear if he could actually follow through. Nonetheless, the official position of the largest Christian groups is that Satan does not have the power to do more than tempt. 4Where Did He Get His Look? These days, we have an image of the “classic” Devil, which includes goat horns and legs and a pitchfork. Particularly cartoony versions may dress all in red or even have red skin. None of these details appear in the Bible, though they were in place by the late medieval period. So where did they come from? As with so much on this list, we honestly have no idea. The goat-like features may come from the Greek god Pan, a wild and frightening deity who inspired sudden fear in lonely places (“panic”). The pitchfork may be the trident of Poseidon. The color may come from the great red dragon described in the Book of Revelation. But these theories are frankly little better than guesses. The truth is that nobody really knows. 3What Is Satan In Islam? In Islam, al-Shaytan (“the Satan”) is a being known as Iblis. 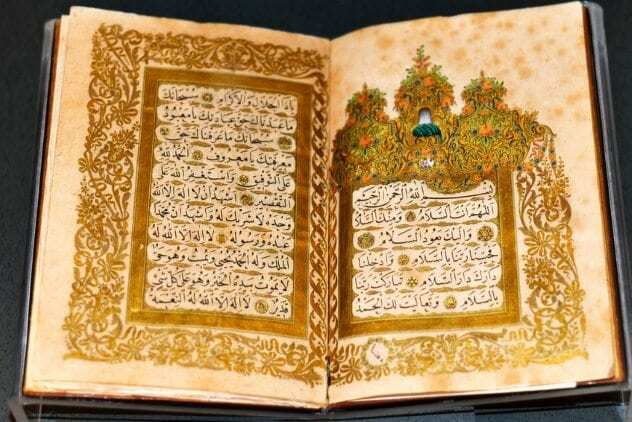 In the Quran, Allah makes Adam from clay and orders the angels to bow to his creation. But Iblis refuses to bow, saying, “I am better than him; You created me from fire and him from mud.” Allah is angry but agrees to postpone punishment while Iblis tries to prove himself right by tempting humans to sin. Scholars are split on what Iblis actually is. In Islam, there are three categories of beings: angels, humans, and spirits known as jinn, who were made from fire and given free will. On the one hand, the Quran states that Allah commanded the angels, including Iblis, to bow, which suggests that he’s an angel. On the other hand, Iblis shows free will and says that Allah made him from fire, which suggests that he’s a jinn. The subject remains in dispute. 2Was The Islamic Satan Right? There is an interesting tradition within Sufi Islam which holds that Iblis was correct to disobey Allah and refuse to bow to Adam. In this view, it was wrong for the angels to prostrate themselves before anyone but Allah. Although Iblis disobeyed, he did so out of his genuine submission to God. 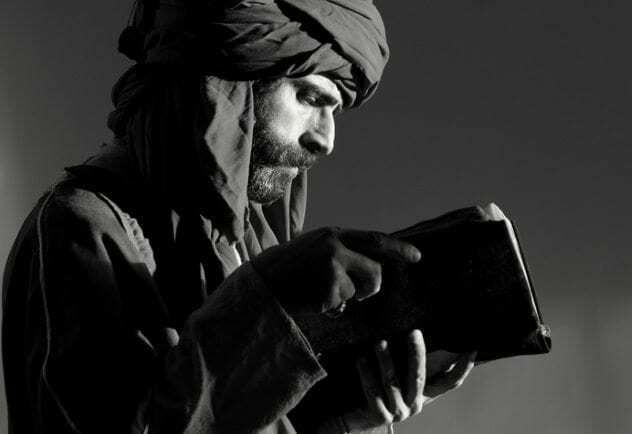 Although interesting, the idea of al-Shaytan as God’s most faithful servant never entered the mainstream, even among Sufis. 1What’s His Connection To The Antichrist? The New Testament makes a number of references to a coming false messiah, called the Antichrist, among other names. Both Thessalonians and Revelation associate this figure with Satan but make it clear that they are not the same entity. So what is the connection between Satan and the Antichrist? In the medieval period, the view emerged that the Antichrist would be the opposite of Christ in every way. Just as Christ was the son of God via a virgin, the Antichrist would be the son of Satan via a whore. This seems to have been based on an overly literal interpretation of the word “Antichrist,” but the idea has become popular thanks to movies like The Omen.